There was a season of our lives when weddings ruled the calendar. It was an exciting and joyous time. Seemingly everywhere we looked, friends were getting married—in New York, New Jersey, Colorado, Oregon, Pennsylvania. Save-the-dates and wedding invitations arrived every week, or so it seemed. In our busiest summer, there were eight weddings. I even officiated one wedding! But that season of life has mostly receded far into the rearview mirror. The wedding announcements have mostly stopped, replaced for the last good number of years by birth announcements. Wonderful case in point: one group of close friends here in Colorado first came together more than a decade ago. Except for two intervening years that Kelli and I had moved back to New York, we’ve gotten together for dinner with that group more or less continuously every two weeks. 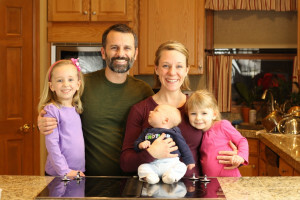 We began as 8–10 people, either single or married couples. Now we’re married or married with children; we’re still 8–10 adults, but we’re also now 8 children. This year, though, the weddings have returned—at least a bit. We have a family wedding in Louisiana in April, and a month later, a friend’s wedding in Vermont. All of us—Kelli, the kids, and I—are eagerly looking forward to them both. 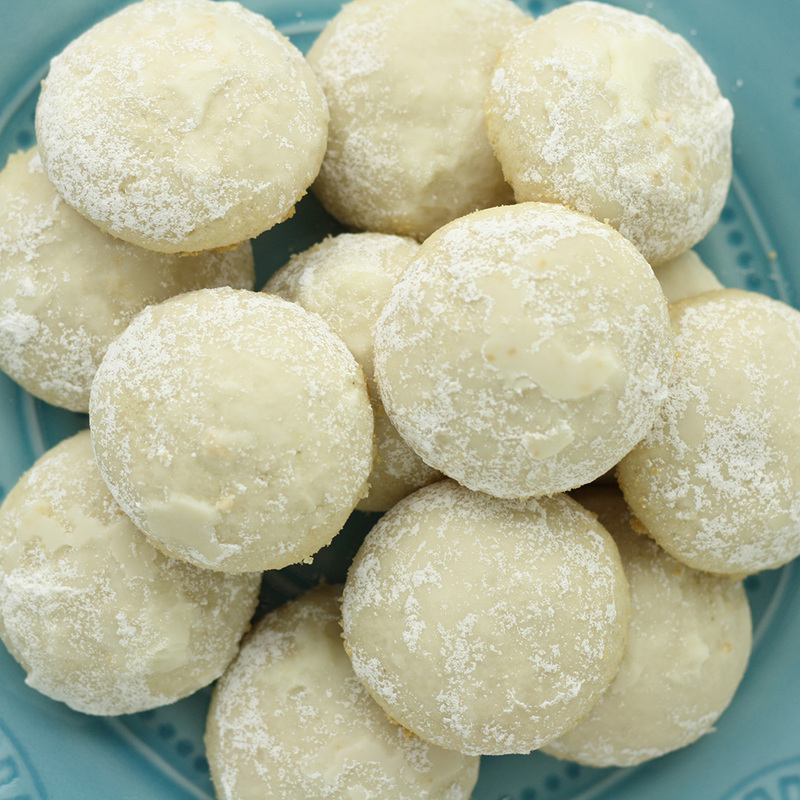 We’re already in a festive mood, which is in part why we went into the kitchen to develop this recipe for gluten-free Italian wedding cookies. But you don’t need the excuse of a wedding to make them! Add the almonds to a food processor and pulse/grind until finely ground, almost the texture of sand. Set aside. Add the confectioner’s sugar and salt, and beat until fluffy. Add the ground almonds and vanilla extract, and stir to combine. In a separate bowl, whisk together the flour and xanthan gum, add to the butter-almond mixture, and stir to combine. Use a one-tablespoon cookie scoop (or mounded teaspoon) to portion the cookie dough, roll into round balls in your hand, and place onto ungreased cookie sheets evenly spaced, about two inched apart. Bake in batches (one cookie sheet per batch) for 15 minutes, until slightly golden along the bottom edge. Remove from the oven, transfer to a wire rack, and let cool for 8 minutes. Meanwhile, add about 1/2 cup of confectioner’s sugar to a bowl. * This recipe calls for 3.5 cups (438 g) of our flour blend. We live at high altitude. For sea level, we recommend reducing the flour to 3.25 cups (406 g), but have not tested it. Great receipe, I cannot wait to try it! My sister makes these non-GF for my hubby every Christmas. I don’t get to enjoy them of course but with this receipe I can. If I don’t have the slivered almonds, but have almond meal, do you know the ratio in weight that I would use? Thanks! We used our own recipe for the holidays but our cookies fell into a pile of crumbs as soon as you bit into it so I am excited to try your recipe! Couldn’t the ground almonds be substituted with almond flour? If so, do you know how much I would use? Also, where can I find your recipe for the Artisan Flour? 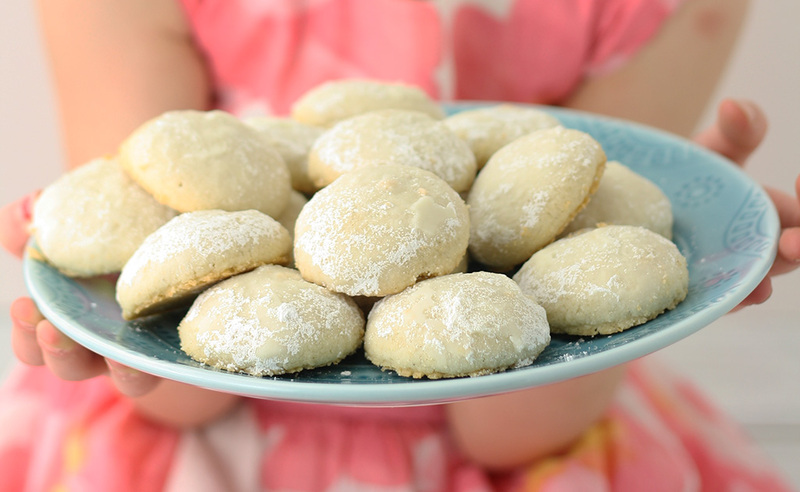 These cookies are very similar to one of the first cookies I decided to make when I was a child (Mexican Wedding cakes). When I made these last weekend I remembered making them for the first time. The dough was not coming together like my mom’s regular sugar cookies and I asked my mom for help. She was stumped a bit too. I can’t remember what we did – maybe just went with it? But I remember my mom’s patience. I went on to cook many unusual and ordinary recipes. These cookies were great by the way! Thanks for posting the recipe. Glad the modified recipe turned out so well for you! My husband has been gluten free for 7 years. One of the things he missed most was the Keebler Danish Wedding Cookies. I just made these cookies and he LOVED them! They were delightfully sweet and buttery. My favorite memory of him is wearing the crumbs and powdered sugar on his shirt after he gobbled the box. I laughed when I came around the corner today and this distant memory is now a new favorite. He had your Italian Wedding Cookie crumbs everywhere. 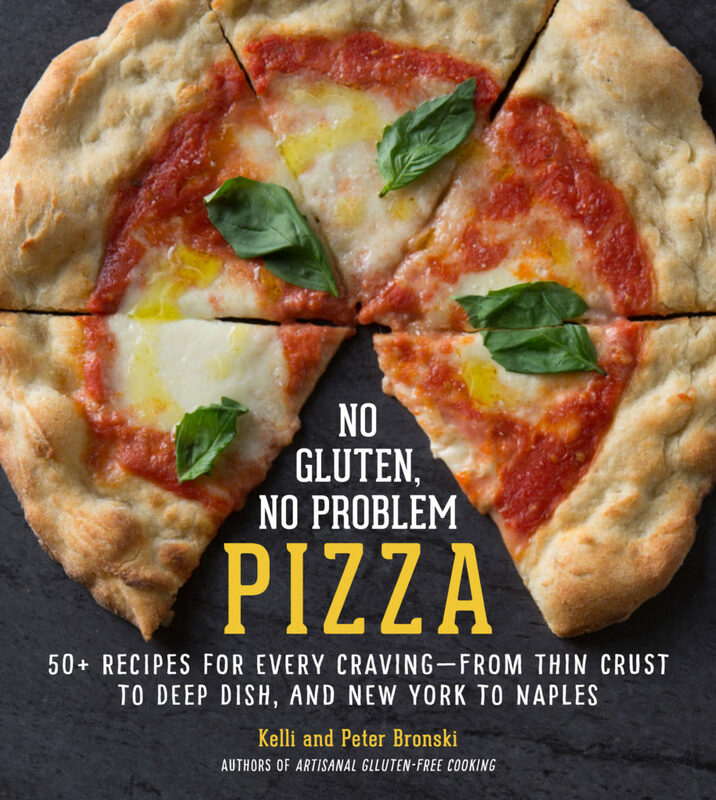 I was recently introduced to you all from borrowing a gluten free cookbook, which was your 2nd edition of Artisanal G-F Cooking. I am elated I found this book and sad. Sad because my family has been gluten free for 7 years and we only just found you all. Thank you for all your work in the gluten free community. Thank you for producing a GF cookbook that is PHENOMENAL. Thank you for making me feel like a gourmet cook every time I try a recipe from your book- each one always turns out exceptional. Thank you for breathing life back into those long-forgotten dishes that we wouldn’t have had if it weren’t for you all. Thank you for all your blood, sweat, and tears you put into your work and sharing it here and in your cookbooks. I quickly purchased two and can’t wait to collect them all.